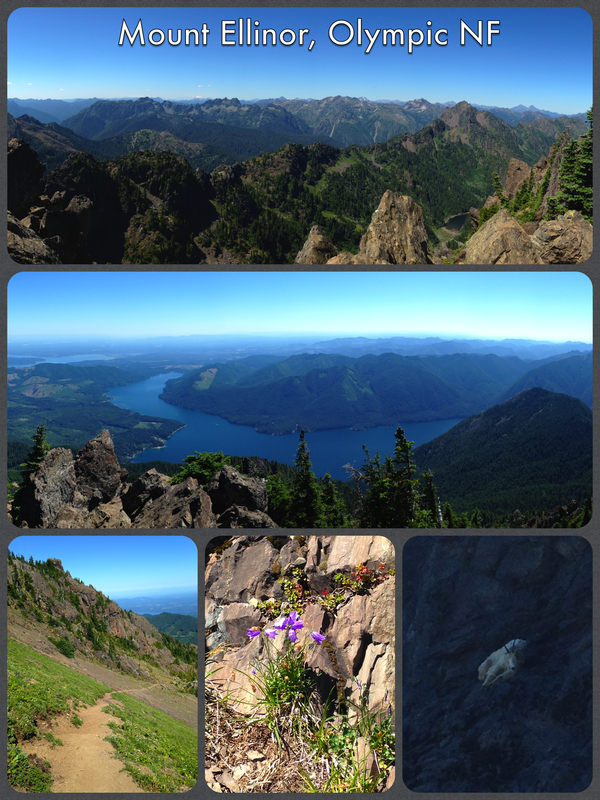 This past Wednesday my wife, son, and I hiked up Mount Ellinor in the Mount Skokomish Wilderness. We started at the upper trailhead (saving ourselves almost two miles of hiking versus starting at the lower trailhead) and ascended roughly 2,000 feet over a little more than a mile and a half. It was HOT – especially since we started at noon. My wife did this hike a year ago at this time and saw snow along the trail. This year, no snow – just lots of dust. 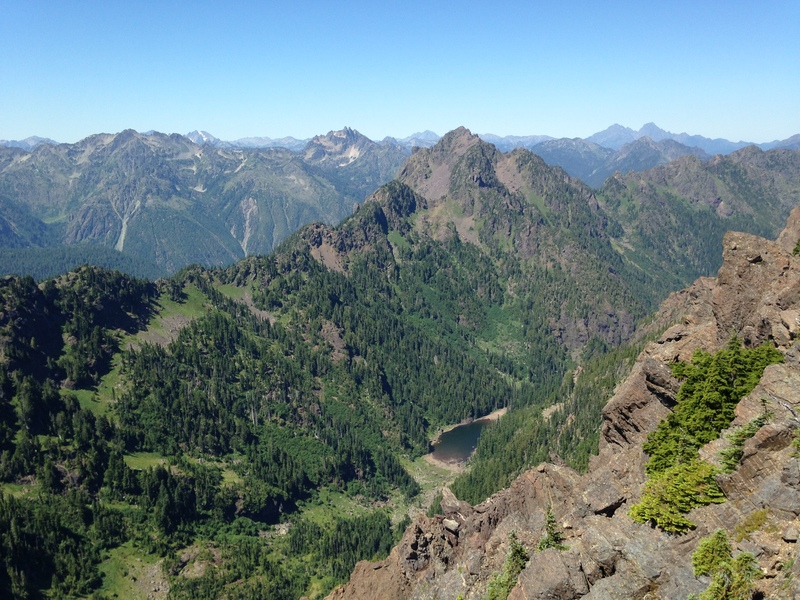 Mount Ellinor is a very popular hike on the Olympic Peninsula. Even on a Wednesday, the upper parking area was almost completely filled. The mountain is best known for its amazing views, steep ascent, and plentiful goat population. The views on Ellinor are spectacular – both along the trail and at the summit. The goats are pretty neat too. I did this hike last September for the first time and didn’t see a single goat. On that day I couldn’t see much of a view either because of the cloud cover, so I was happy to experience Mount Ellinor in all its splendor. I had almost given up on seeing any goats last Wednesday but halfway down we saw one hanging out on the side of a cliff trying to stay cool in the shade. Smart goat! 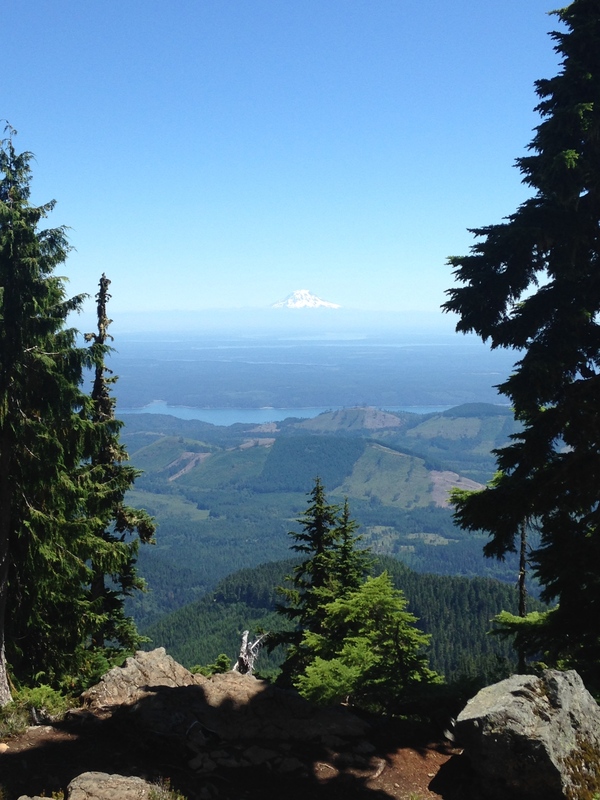 Mount Ellinor is a great hike and its views are well worth the climb. It’s pretty cool seeing wild mountain goats up there too. If you do plan on hiking Ellinor in the summer, I suggest starting in the morning. I also heard several people say that more goats were out earlier in the day. Here’s a neat video from the Forest Service about hiking Ellinor. Check out some of my photos below. I’ve also heard Ellinor is a popular place to watch fireworks displays go off throughout the South Sound. 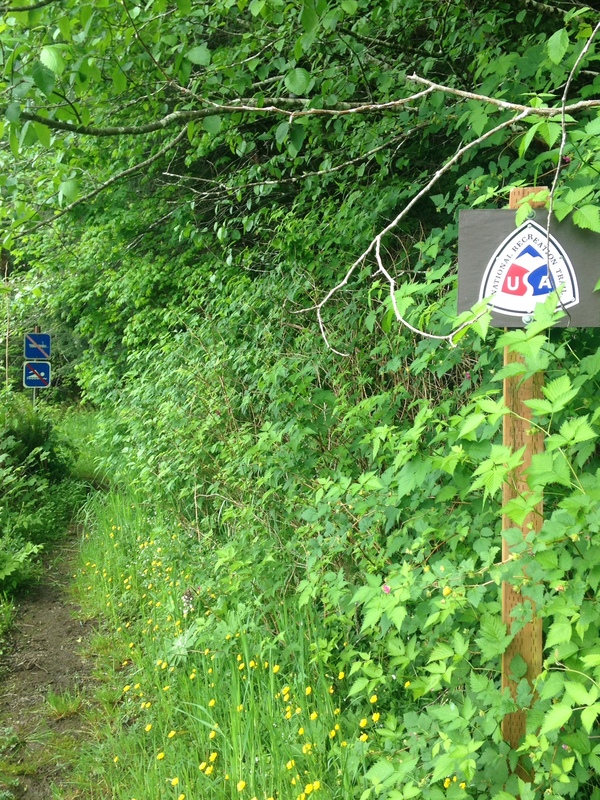 Have a Happy July 4th and enjoy the hiking! From the Trail: Wynoochee Lake Shore Trail – Bring your pith helmet for this one! 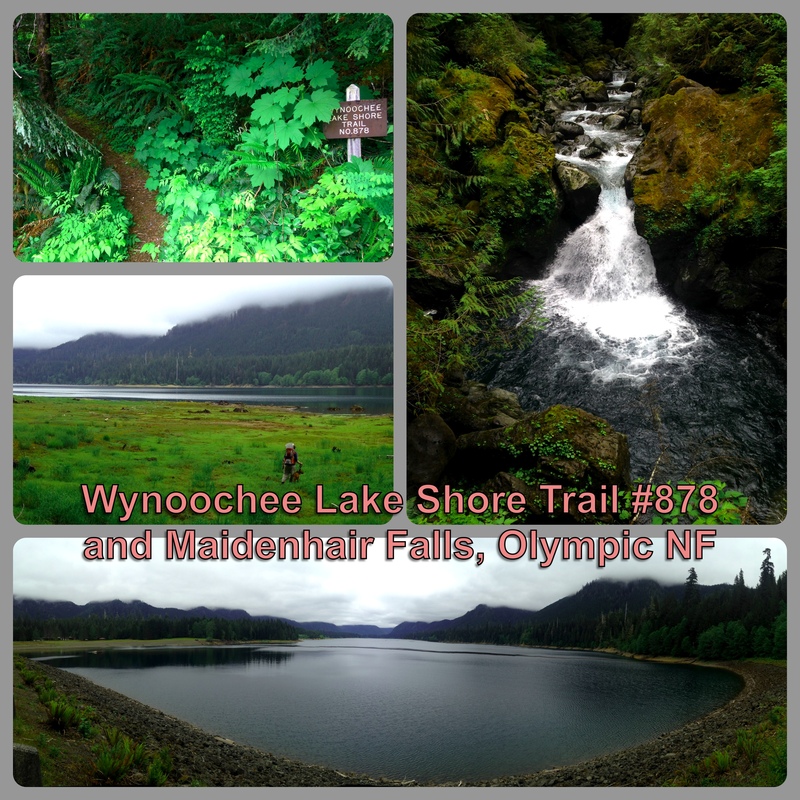 This weekend, my family and I checked out Wynoochee Lake Shore Trail in Olympic National Forest. Beginning at Coho campground near Wynoochee Dam, we hiked around the entire lake (~16 miles) and saw Maidenhair Falls on the northern end. It was an interesting, sometimes fun, and sometimes really difficult hike given the poor condition of the trail. In some sections, the bushes were so overgrown that I felt like a jungle explorer (sans pith helmet and machete). Wynoochee Lake Shore Trail is a National Recreation Trail and probably was at one time a really great trail. However, I don’t think it’s received a whole lot of TLC since it was designated an NRT in 1979. All in all a decent hike and a fun experience. Maidenhair Falls were a beautiful find, however, if I ever do this trail again I will ford Wynoochee River just above the lake and save myself the trouble of trekking through the many campsites directly along the river. Check out my photos from the trip below and stay tuned (hopefully) next week for my review. Mt. Rose in the Mt. 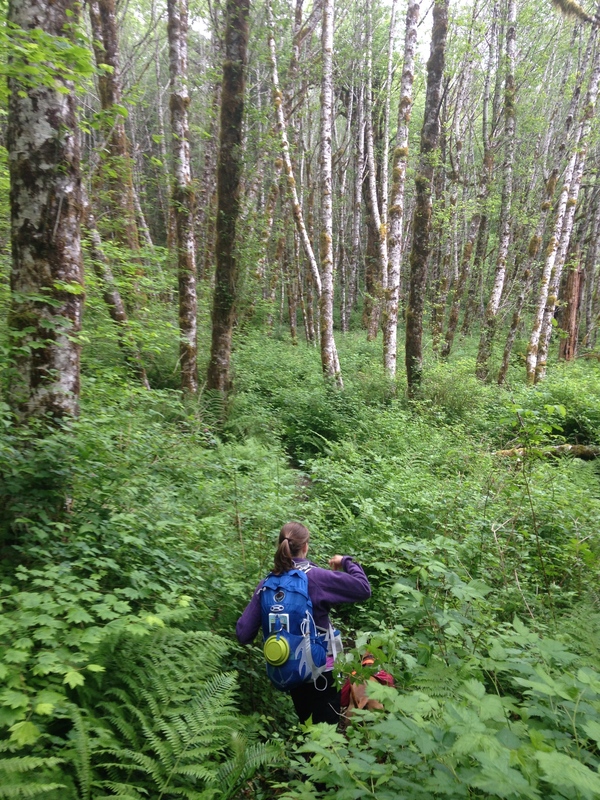 Skokomish Wilderness presents a challenge for even the most seasoned hikers. Much of the only trail to its summit, Mt. Rose Trail #814, ascends rather steeply for most of the way. Within a mile of the summit, hikers take a loop path; here they can choose the steeper Summit Route to the left or the longer and slightly more gradual Ridge Route on the right. 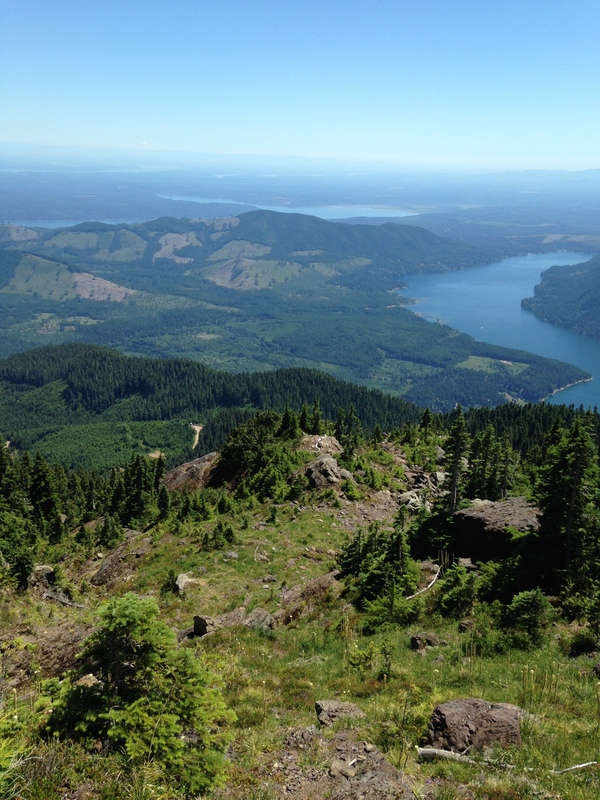 Along the summit ridge, the trail offers fantastic southern views of Lake Cushman and the Olympic NF peaks on the lake’s southern border. Looking northward on the trail presents glimpses of the popular Mt. Ellinor, as well as Mt. Washington, Mt. 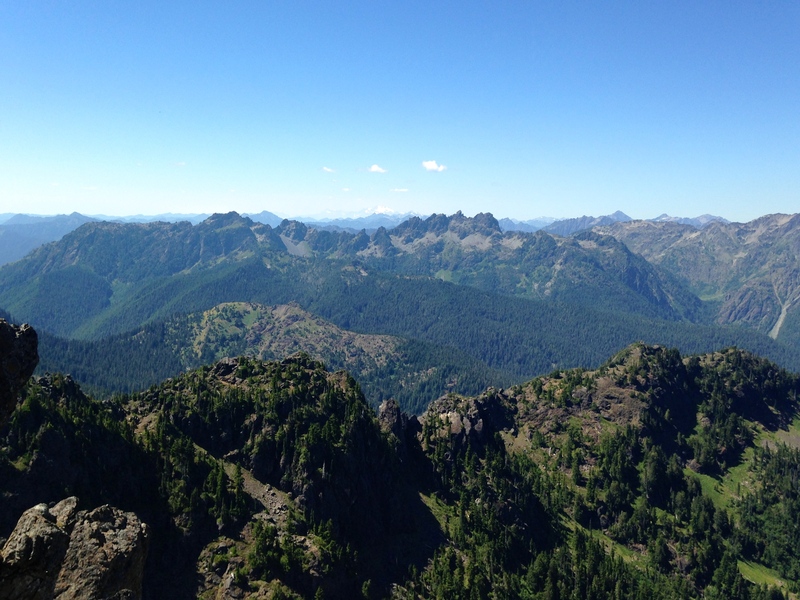 Pershing, and other major peaks in the Skokomish Wilderness. For all its difficulty and limited views though, Mt. Rose does beckon some and present opportunities for other hikers. 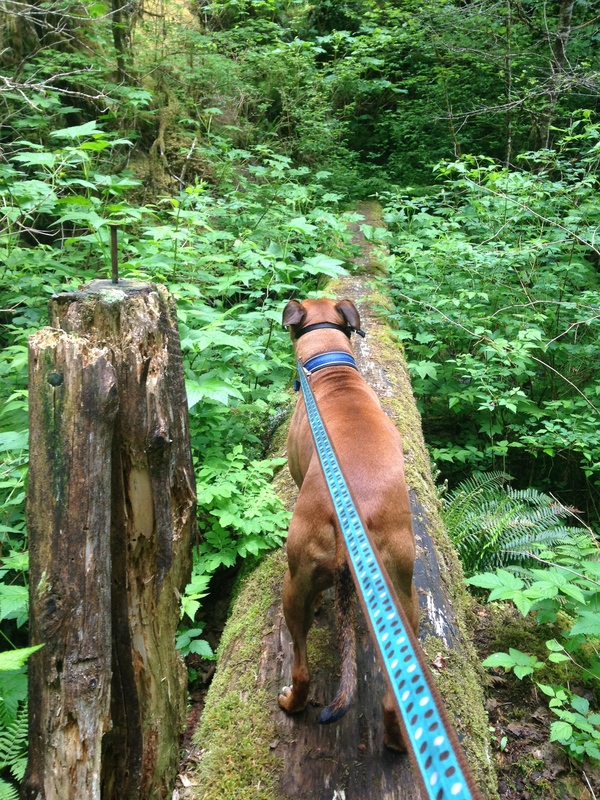 It was a rough hike in the Olympics today. The hike up the Putvin Trail towards the Lake of the Angels started off great with beautiful weather and clear skies. However, right before climbing up the headwall, it started to snow. We got within a half mile of the Lake of the Angels before we were forced to turn back as the snow and sleet came down heavier. Made it to the aptly named Pond of the False Prophet before we lost the trail in the snow. It was pretty among the alpine streams and meadows near the top (I think it’s called the Valley of Heaven). But, as the pond’s name suggests, it doesn’t beat the real thing, the alpine lake we hiked so far to (almost) reach. Oh well, this just gives us an excuse to return this summer! 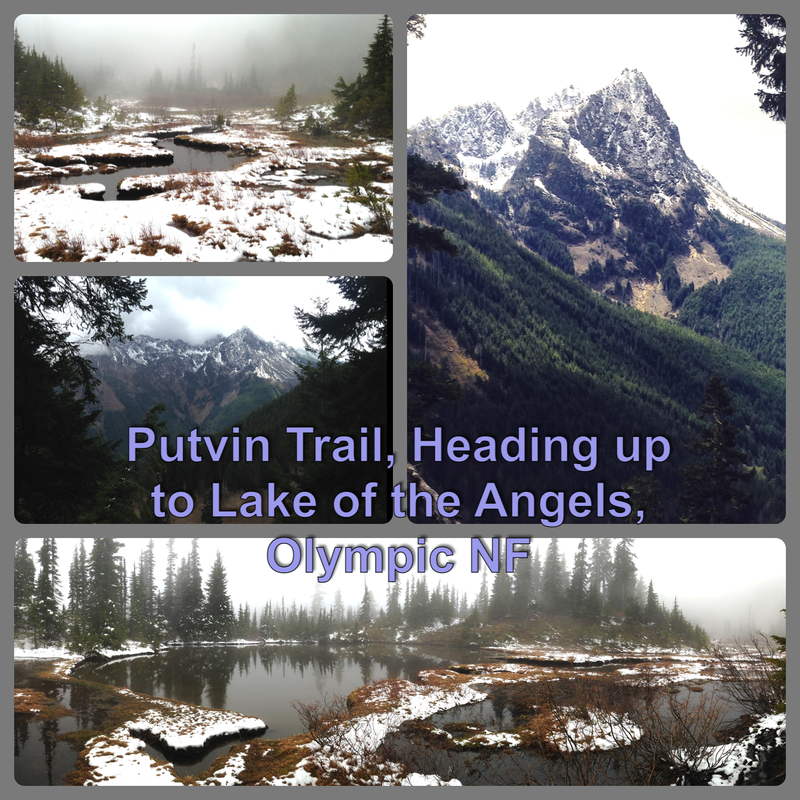 The photo collage shows the Pond of the False Prophet and some of the Skokomish Wilderness peaks you can see from the Putvin Trail. Stayed tuned next week for my review of the Putvin Trail. Some images from my hike up Mt. Rose in the Olympic NF. The weather was fantastic this weekend, but this trail was brutally hard and steep – it rises 3,500 feet over 2.9 miles. It was one of the most difficult hikes I’ve done recently. The views were pleasant at the top. The summit was mostly barren because of a 2005 forest fire. If you need to get in shape for some mountaineering or uphill footraces, I recommend this hike. Otherwise, I might just do it once to say you did and then stick to hiking up Mt. Ellinor. Ellinor offers some much better views. 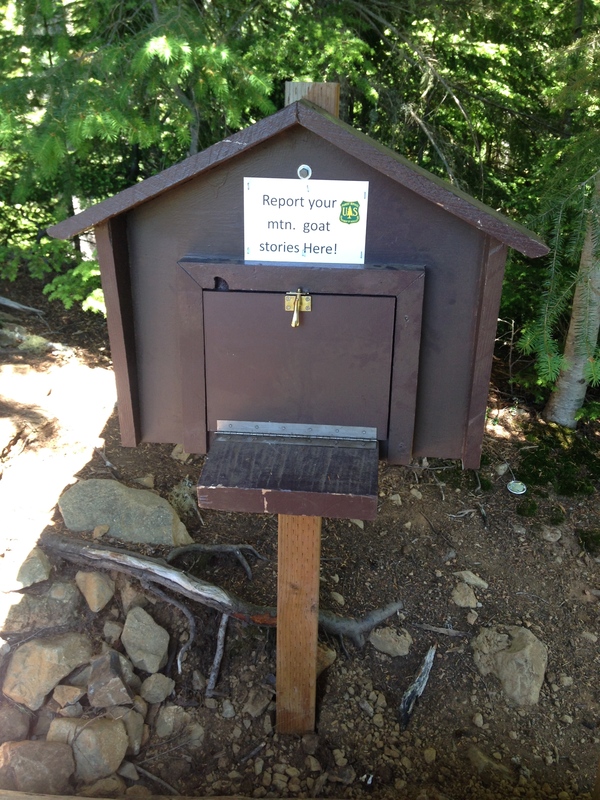 Also, no goats (from what I saw) on Mt. Rose. Stayed tuned at the end of this week for my trail review! This marked my first visit to the South Fork Skokomish River area. I had driven by this area several times during my trips to the North Fork Skokomish River Trail (starting at Staircase Ranger Station). However, I hadn’t given it much notice. For starters, there isn’t much identification along Route 101. I think I saw one sign on 101 before reaching the turn-off to West Skokomish Valley Road, which takes you into the Olympic National Forest and to the trailhead. I had no idea you could reach the National Forest from this road, let alone access some great hiking. So research the directions and bring a map – you will need it to reach the trailhead through the maze of National Forest roads. For the most part, you will take NF Road 23. 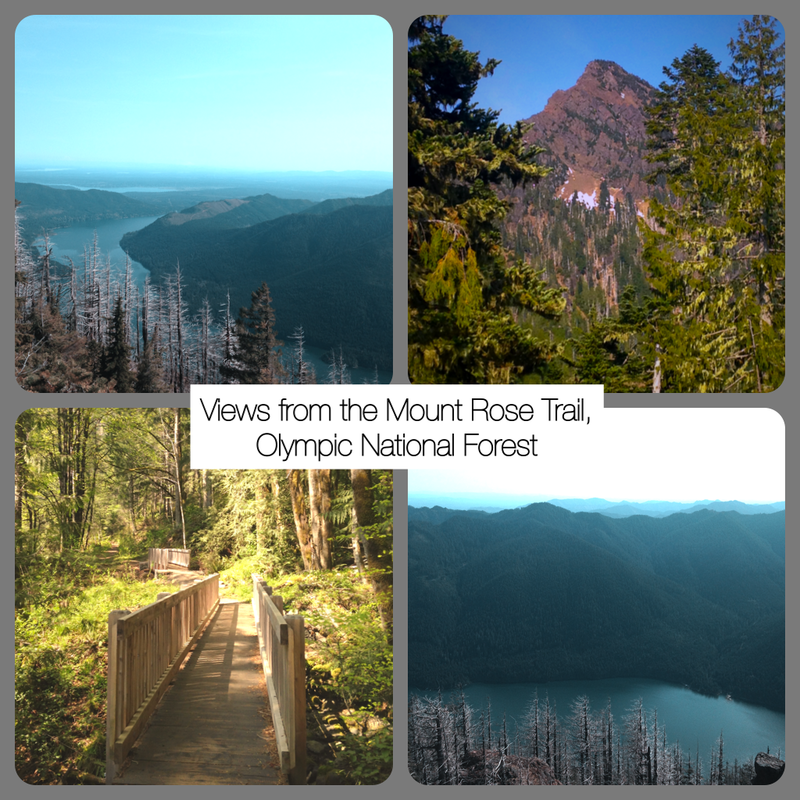 Overall this was a great hike through a gorgeous river valley and plenty of old growth forests. Beginning at the trailhead for the Lower South Fork Skokomish River Trail – near the Brown Creak and Lebar Horse campgrounds – I hiked approximately 4.3 miles to the site of the former Camp Comfort. You can hike on this trail much farther though, all the way to the Upper South Fork Skokomish Trail and eventually into the Olympic National Park (near the Graves Creek area in the Quinault rainforest valley). But that’s quite a distance away. The half of the Lower South Fork Skokomish Trail that I hiked mostly stayed along the river and crossed over many small creeks. The warning about entering cougar country at the trailhead was a little unnerving, but for all I know these warnings exist at every trailhead on the Olympic Peninsula. If you’re looking to explore some old growth forests, though, and to hike easily through a mostly flat and beautiful river valley, I recommend this trail. A view of the river from a spur off the trail. 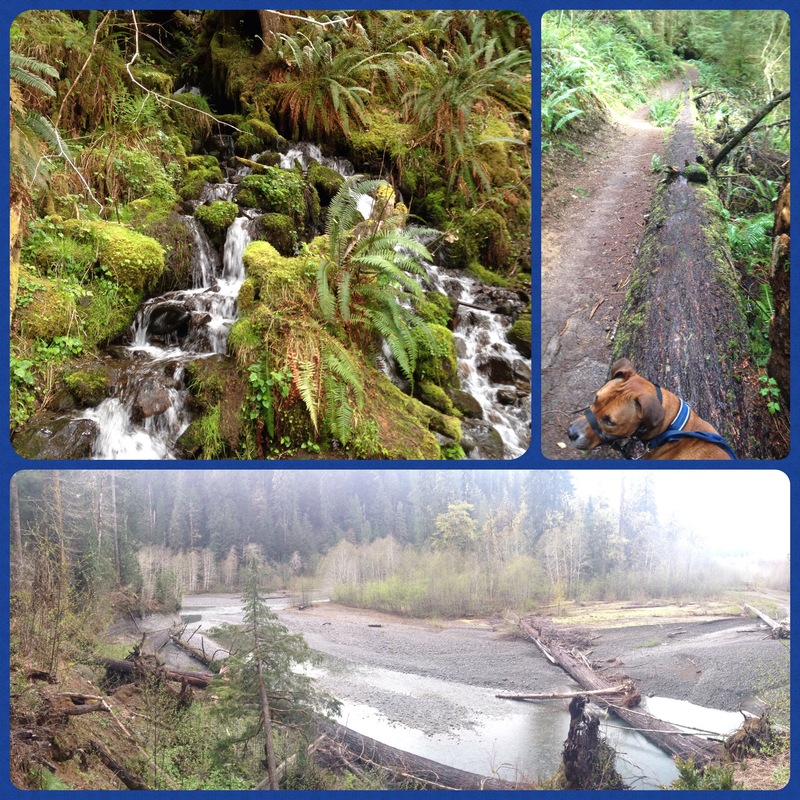 Today I hiked part of the trail along the Lower South Fork Skokomish River in Olympic National Forest. Starting at the trailhead near Le Bar Creek Horse Camp, I hiked in to the former site of Camp Comfort (about 4.5 miles one way) alongside the river. The first section was a difficult uphill then downhill climb, but the rest of the hike was amazing as the trail passed through old-growth forest almost the entire way. 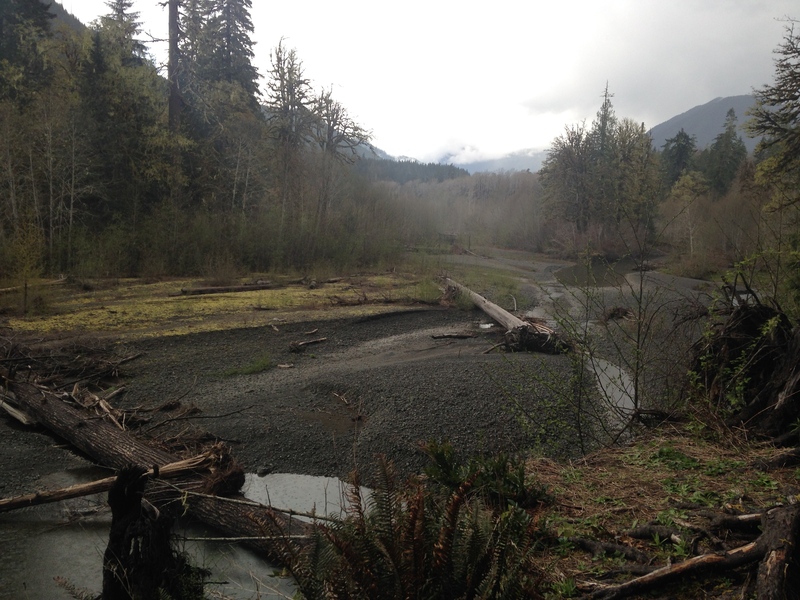 A beautiful area tucked away in the South Fork Skokomish River watershed. Stayed next week for my review.